OVER 100 CASES before the Criminal Courts of Justice in Dublin today were affected by strike action taken by a criminal law solicitors and barristers over cuts to the Criminal Legal Aid scheme. Approximately 120 remand matters and those for mention in the District and Circuit Courts were adjourned without any action or any order until future dates, the courts service said this evening. Matters were the defendant was in custody or there was an issue of custody arising were heard as normal and dealt with as solicitors and barristers made themselves available. The courts service said that matters before the Court of Criminal Appeal, Central Criminal Court, High Court Extradition hearings and Special Criminal court were also proceeded with. Criminal law barristers and solicitors, organised under the Criminal Law Practitioners Organisation (CLPO), are arguing that a proposed 10 per cent reduction in legal aid fees will see defence lawyers earn less than prosecutors. However the Minister for Justice Alan Shatter described the action as “absolutely extraordinary” in the Dáil yesterday and questioned the legality of the CLPO’s actions. He pointed out that the bill for the Criminal Legal Aid scheme has already run over by €10 million this year and said that there would be a provision of €47 million for the scheme in 2012, the same amount that was allocated in 2011. Speaking yesterday he said: “Bearing in mind its [the CLPO] leadership comprises some of the highest earners in the criminal legal aid scheme, I have to deplore last Friday’s threat made to withdraw services tomorrow from criminal legal aid clients. “The conduct of this organisation to date starkly illustrates the need to implement reforms with regard to the legal profession and to enact the Legal Services Regulation Bill to ensure proper competition in the provision of legal services,” he said. 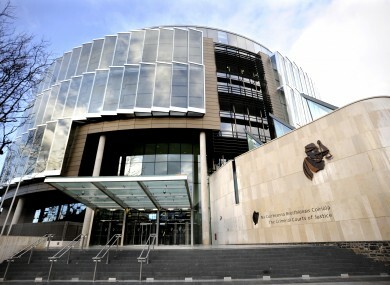 The strike action was not supported by either the Law Society or the Bar Council but had the backing of many of the criminal law firms in Dublin. Email “Over 100 cases affected as Shatter questions legality of lawyers' strike”. Feedback on “Over 100 cases affected as Shatter questions legality of lawyers' strike”.